Naming Italian race cars is less science than art, and less art than merely tacking a few semi-significant digits together in the most confusing way possible. 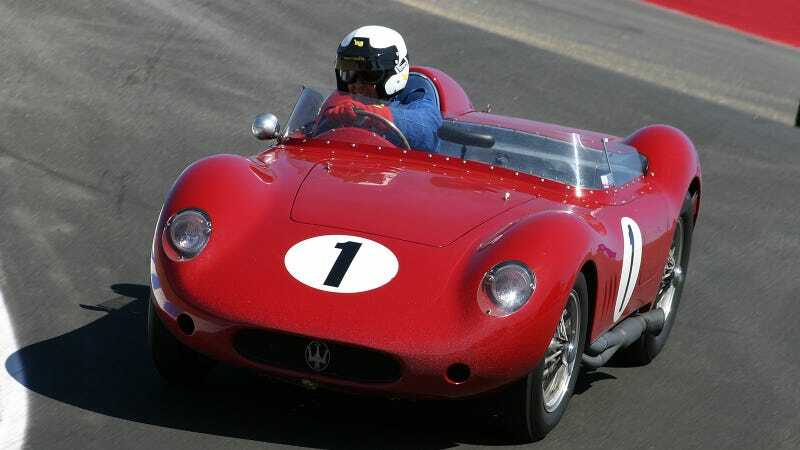 Thus, this 1956 Maserati 250S shot by Brad Fox is actually a 200-SI with a 2.5-liter version of the DOHC Maserati four-cylinder Maserati was using at the time. Not confusing until you consider all the other contemporary Italian cars with similar names (Ferrari 250 S, Maserati 250F, et cetera).